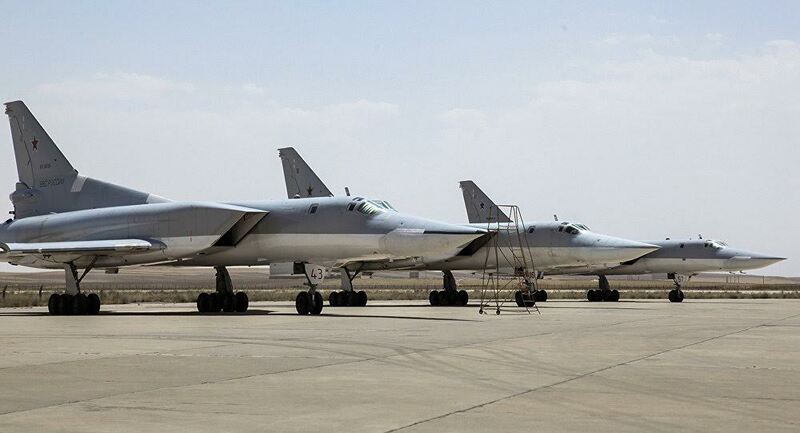 Moscow- Iranian-Russian discussions about allowing Moscow to use the Hamadan airbase renewed on Tuesday a week after Iran’s Defense Minister Hossein Dehghan said Russia could use the airbase for its aerial campaign against terrorists in Syria – if the situation demanded it. Hossein Sheikholeslam, an adviser to the Iranian foreign minister repeated the same statements on Tuesday when he said: “If the situation demands it, like it did in August, we’re ready to allow Russian warplanes to take off and refuel at this airfield,” on condition that it would be under the supervision of Iranian forces. Last August, Iran had allowed Russian jets to use the Hamadan airbase. However, Moscow had pulled out all its jets to Russia a week after it launched its first takeoff from the Hamadan airport in the direction of Syria. Although Moscow and Tehran stayed silent regarding the true reasons behind the shift of positions, it was later clear that Russia had removed its jets due to a dispute between the two countries, after Moscow had publicly announced in the media that it was using the Iranian airbase. Iran deeply sank in an internal uncertainty facing the public announcement that Russia was using the Hamadan base to launch air raids against Syria. The announcement had created confusion among Iranian leaders, because allowing Russia to use an airbase violates the Iranian Constitution, which prohibits the presence of any foreign forces on Iranian soils. At that time, Dehghan had accused Russia of using the “show of force” when Moscow announced it was using the Hamadan airport. But, last week, Dehghan said that Tehran could allow Russia’s use of the Noje Airbase in Hamadan. Also on Tuesday, in an interview with Sputnik Persian, Sheikholeslam commented on the possible option for the Russian Aerospace Forces at the Hamadan airfield. “I’d like to emphasize that Iran never gave to Russia full control over the Noje base in Hamadan. This airbase belongs to Iran and all activities at the base are controlled by Tehran,” Sheikholeslam said. In Russia, several officials had received the Iranian statements with ease, while some parliamentarians had started to explain the positive outcomes of using the base. Russian upper house of parliament’s defense committee chair Viktor Ozerov said the Hamadan airbase could constitute a substitute for the Admiral Kuszetsov aircraft carrier. “The necessity to use the airfield of the airbase in Hamadan could emerge if Admiral Kuznetsov carries out another operation and [Russia] will not be able to use it for airstrikes against terrorists in Syria,” Ozerov said.